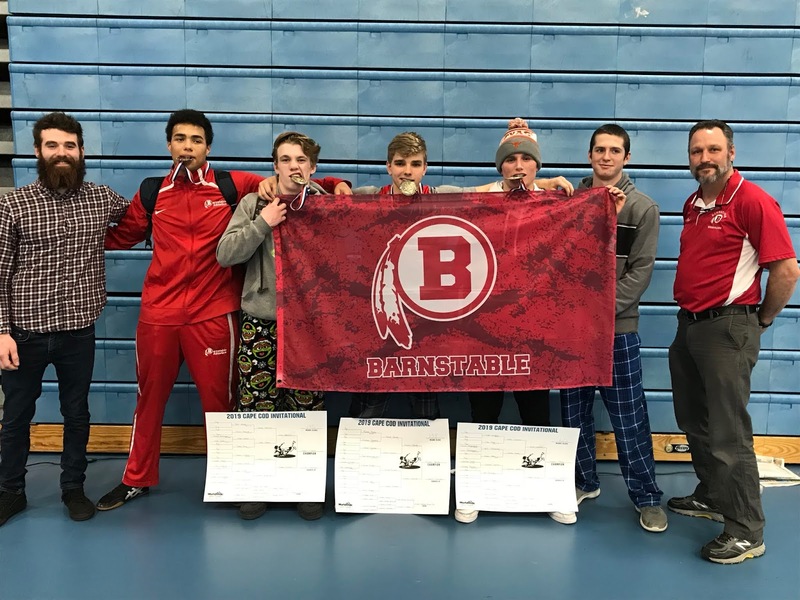 Barnstable had a busy weekend- Varsity competed at the Cape Cod Invitational on Saturday, and our 8th and 9th graders traveled to Brookline today for the annual "Freshman State Tournament." 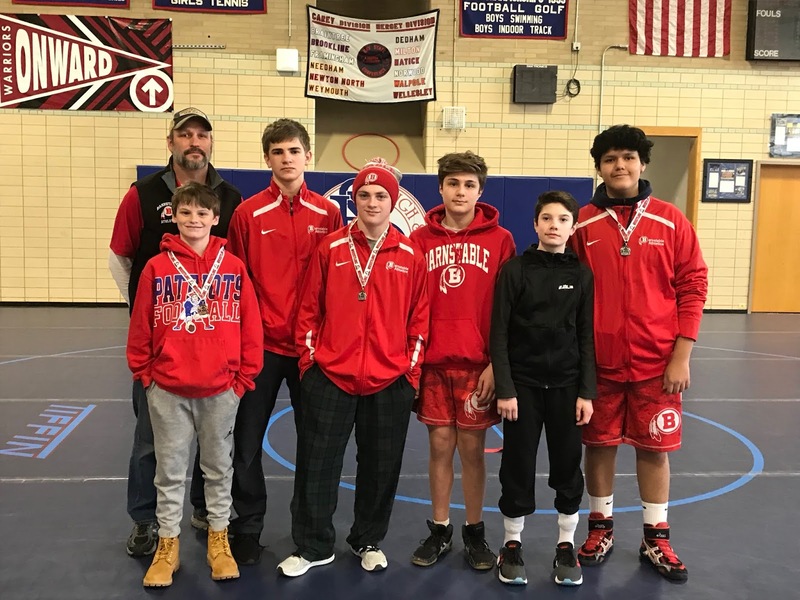 Mike Stanley- 1st at 138 lbs. 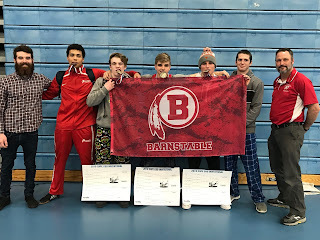 Joey Ciliberto- 1st at 145 lbs. Texas Molina- 1st at 160 lbs. Joshua Oliveira- 3rd at 220 lbs. Collin Lane- 4th at 170 lbs. 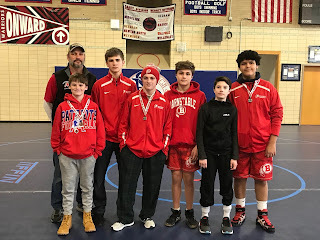 Today, all of our eighth and ninth graders placed at the Freshman Tournament.